Alien Explorations: Alien Resurrection; Influence from Dark Horse Alien comics? 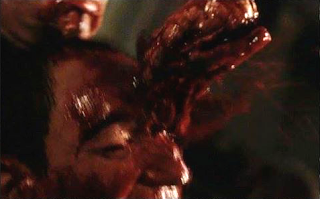 Alien Resurrection; Influence from Dark Horse Alien comics? a) 29th of June 2015, Ed Arent in his posts at Weyland-Yutani bulletin shared some images showing comparable images between the Dark Horse Alien comic books and the Alien Resurrection movie. 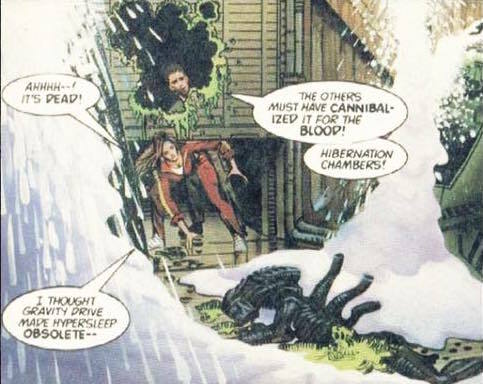 b) In a story in Dark Horse's Second volume of comic book stories, the Aliens sacrifice one of their own to use the acid blood to escape. c) In Dark Horse's first volume of comic book stories, a Facehugger victim pulls another person onto himself as the chestburster is about to emerge killing them both. 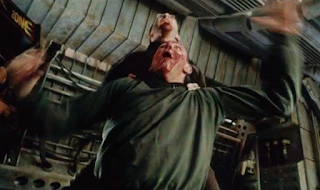 A similar death took place in Alien Resurrection, Doctor Wren is killed when the character Larry Purvis suffers a chestburst and holds Doctor Wren's head against his chest as it happen.